Since my first picture book, Puggle's Problem, was released in 2010, I've published over forty titles in Australia. Some of these books have also been released and distributed in South Korea, France, New Zealand, Hong Kong and the United States. I'm always writing and often have new books being released, so please keep an eye out for them. Non-Fiction Picture Book, Our Class Tiger, Winner, 2015 Environment Award for Children’s Literature and the Puggle (Children’s Choice) Award. First Prize, Hector and the Soccer Ball, Dalrymple Bay Coal Terminal Picture Book Competition, July 2014. Shortlisted, Teeth Marks, 2012 Stringybark YA Short Fiction Award, March 2013. 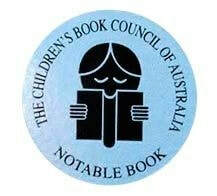 Picture Book, Warambi, 2012 CBCA Eve Pownall Award Notable Book, 2012 Wilderness Society Environment Award Shortlist. Shortlisted, The Tender Barbs of Sacrifice, 2010 Common Thread Longer Short Story Competition. Shortlisted, When I Was A Coward, 2010 Cancer Council (VIC) Arts Awards Short Story Competition. First Prize, A Web of Wishing Words, 2009 Port Macquarie-Hastings FAW Memoir Competition. Runner Up, YA Novel, Tinonee, 2009 CBCA Frustrated Writers’ Mentoring Program. Shortlisted, When I Was A Coward, Eastwood/Hills FAW 2009 Literary Competition. Second Prize, Junior Novel, Little Witch, 2009 Voices on the Coast Writing Competition. Winner, 2009 Australian Society of Authors (ASA) Mentorship, Junior Novel, Sebastian Smee and the Tassie Devils. First Prize, The Trouble With Zen Treehorn, 2008 Mary Grant Bruce Short Story Award.